If you have any questions or want to enquire about dates, use our form to contact Bev and Warren Smith or see their website for more information. Settle in to the France of your dreams: two rustic-chic gîtes, one for eight, the other five, great for friends and family. Fancy a gathering? No problem: further gîtes take the overflow. Imagine mellow stone farm buildings with blue shutters, green rolling hills and sleepy cows, and a little village you can walk to. Ploërdut (1.4km) has a church, two shops, pizzeria, restaurant-bar, and a small square that comes to life on a Friday: the market bursts with Brittany produce, the bread comes hot from the traditional wood-fired oven. Bev, Warren and little Freddie live (most of the time) on site, offer you cider and local biscuits and cakes – and home-grown produce when they can; they put on treasure hunts for the kids and share their local knowledge. For young families this is hard to beat: above-ground pool, a swing in the trees, a stash of toys, ball-friendly lawns; perfect low season, peaceful spot for couples, artists, writers… too. As for the gîtes, they’re gorgeous with white walls, tiled floors, comfy sofas, chic bathrooms, cute kitchens. Maison du Puits has lofty beams, L’Ecurie is open all winter – both have roaring wood-burners. What a great place for a realxing hideaway. The gite was beautiful and Bev a Warren helped us out with local info and allsorts of things to do. They are also very hospital for lazy days around the grounds. We've stayed in a few gites over the years but Guebernez has to be the best. 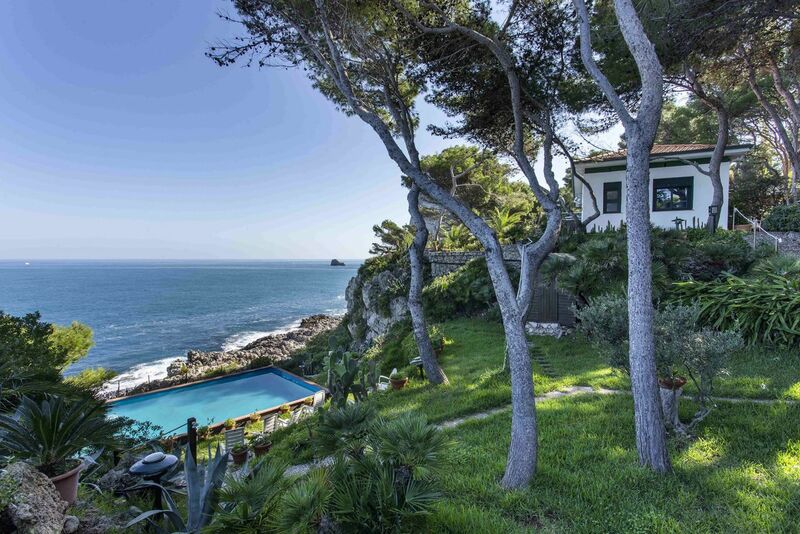 The setting is just idyllic, with beautiful gardens and wonderful views to the countryside beyond. We've visited three times now with our family and even the older kids love it (it's not easy to please teenagers!). It's an easy walk to the boulangerie/cafe/bars in neighbouring village, and in the car you can explore all the amazing towns, beaches and attractions of Brittany. The hosts at Guebernez couldn't be more helpful and friendly, and the cottages are equipped with everything you could need. Five star! After a long day of travelling we really appreciated arriving to a warm welcome and roaring fire. What we didn't appreciate, until the next morning in daylight, was the beauty of the property and surrounding area. We quickly fell into the "village culture" fetching our warm baguettes from the local bakery every morning before setting off on our many day trips that Beverley and Warren had recommended. We quickly made friends with the other guests but also felt comfortable closing the curtains and having a night in at the gite enjoying the tranquility and simplicity of being in rural France. What a stunning spot! The Gites are in a lovely part of Brittany, beautifully decorated, lovely countryside views and so much to do in the area. We thoroughly enjoyed our stay; Bev, Warren and Freddie are such lovely hosts, we look forward to returning! 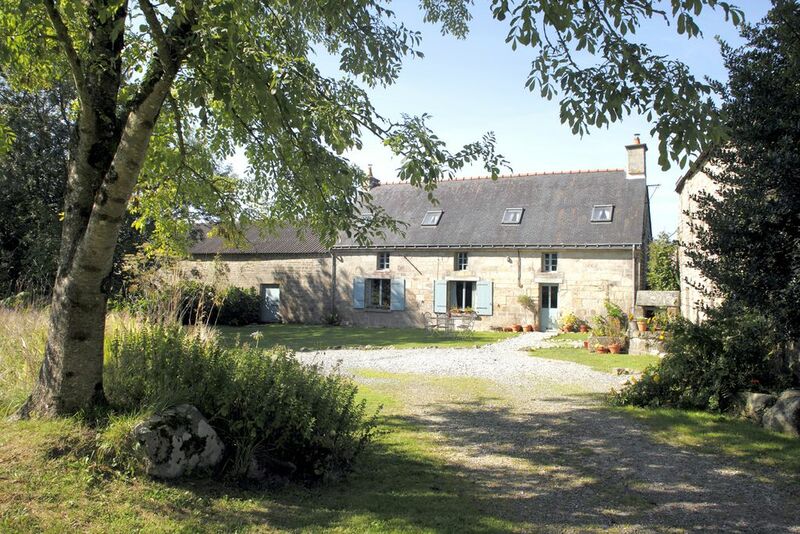 We stayed in one of these lovely gites in the middle of the Brittany countryside. All mod cons, very clean, fabulous views and hosts for whom nothing was too much trouble. We rode bikes in the nearby villages and had lovely long lunches; seaside under an hour away, but I preferred this countryside setting. It felt like an authentic French destination. As a family, we've stayed in several places in France, but Gites Guebernez is one of the best we've experienced. We loved our little home and the well-kept grounds were perfect for the kids to run around and have fun. It's very peaceful and we felt perfectly safe, too. The owners put in a real effort to make sure all of your needs are met – Bev is a travel journalist and is happy to share her extensive knowledge about the area – and I wouldn't hesitate to tell other families to spend some time here. Guebernez is an idyll in the middle of the Brittany countryside. We stayed in La Chaumerie, which was lovely for the family (my partner and I, our toddler son and our little dog) and there was loads more space if we had needed it. We could have easily stayed on site each day as there were lovely walks, toys for our son and such a relaxing setting, but it was also a great location to see so many wonderful places in Brittany. Bev and Warren were fabulous hosts, recommending day trips, booking us restaurants and vets, putting on a great drinks evening in the barn. Highly recommend it! Charming gite in an idyllic setting. Village with traditional places to eat nearby. And lovely beaches not too far away. Very friendly and helpful hosts. A great holiday for families, but also as a romantic getaway for two. You'll get a real taste of local Breton life in our popular and lively village restaurant, Chez Marie Thé, where a 3-course meal - with unlimited wine - costs just €11.50. Fill your plate from the buffet to start then choose from the daily specials. Hire bikes and cycle the gentle path of the Blavet River or the Nantes Brest canal, both within easy reach. This part of Brittany is also perfect for road cycling, with windy country lanes and very little traffic. The Tour de France often passes by. We're only a 40-minute drive to the stunning sandy Morbihan beaches, but even closer are swimming and boating lakes with beaches. The Lac de Bel Air at Priziac is a 10-minute drive and has pedalos, sailboats, play park, café and wooden jetties to jump off. If you're coming over with Brittany Ferries, we can get you a 20% discount on crossings all year round. Just ask us for the code when making a booking. It can make a huge difference to the price of your holiday, especially in the peak summer months. We run walking and cycling holidays at Gites Guebernez so we know the very best coastal and countryside walks and bike rides in the area. We welcome groups and can put together itineraries in the spring or late summer. Please contact us for more details. Ask us about the year-round programme of festivals, celebrating music, art, nature, food, and drink, including Lorient's Celtic Festival, the Son et Lumière at Bon Repos and the Fete Medieval in our local village. Something is on nearly every weekend.